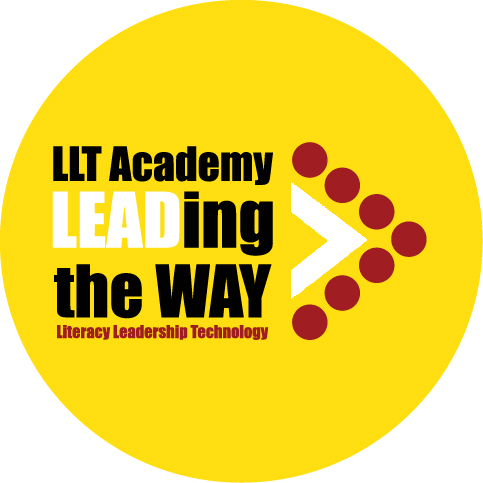 Literacy Leadership Technology Academy – Who are we? In 2004 three people, myself included, came together to write a 5-year academic/business plan to sustain a charter school serving middle school students. We were a Teacher of the Year and Disney Teacher of the Year Nominee, a pastor and a financial expert. Charter schools were a fairly new concept at that time and we helped shape the future for the many charter schools in our county today. In our first year Literacy Leadership Technology Academy (LLT) was home to 79 students and their families along with 7 staff members including myself. It was a leap of faith for those families to come on board, but they believed in our mission to educate students in a better way with relationship building and leadership. We secured a 28-year lease on our current site, a disused swim and tennis club with 2 buildings (now Edison and Newton Halls) and a dirt parking lot of shrubs and weeds. By year’s end we were an A school, had happy students, and were excited to continue our journey. In 2007 Lincoln Hall was added, we paved over the swimming pool and increased our enrollment as word got out about the good work going on at LLT Academy. A fully paved parking lot and circular driveway were a welcome addition. A high school was added in 2008 and understanding that the economy of scale was not on our side with the new standards for high schools, we chose to close it in 2010 and concentrate on growing our middle school to afford more opportunity to a greater number of students. We believed this was where the need really was in Southeastern Hillsborough County. In 2010 I applied for our AdvanceEd SACS Accreditation. This is a rigorous examination of a school and all its programs, processes and achievement levels including feedback from all stakeholders. We were awarded our accreditation and underwent the full examination again in 2017 passing at the highest level and in the top percentage of the thousands of AdvancedEd schools worldwide. AdvancedEd also accredits a school district or corporate school system without going into each school to check that the criteria are met. We have personally met all the criteria at our school. LLT Academy is not a property managed or corporate school. We are an independent school; a non-profit single entity making the decisions with our LLT board members and staff as to what is best for our community of students. In 2012 with the award of a High Performing Charter School by the state, I started the process to add elementary grades K-5. The new building (Sullivan Hall) to house the elementary grades and cafetorium was started and in 2013 we became a K-8 school. In 2015 we added Jefferson Hall to house our band room, Media Center, and PE Room plus classrooms outfitted for our 8th graders. We have also added a playing field, a basketball court, fitness court, K-5 playground, hydroponic and butterfly gardens to our 5- acre campus and could not be more proud of how far our little school has come. Also in 2015, we became a Leader In Me school, a natural fit for our leadership culture, following the Covey principals of The Seven Habits for Highly Effective People. Students must first learn to effectively lead themselves in order to lead others. http://www.theleaderinme.org/what-is-the-leader-in-me/ We have a Fine Arts program, which includes district winning choral groups, marching and steel drum bands, full-scale musicals for all grades and award winning art projects that combine with our STEAM program. Our Sports program includes teams in Cross Country, Basketball, Hockey, Volleyball, Flag Football, Soccer and Cheerleading. Our teams consistently participate in and win championships and our Cheerleaders come in first each year in competition with the other charter schools in our league. In the 2017-18 school year we will add Baseball and Swimming. We are also the only charter in our county to be awarded the state’s 5-Star school status as well as a Gold and Silver school designation. We are awarded these honors each year based on the parent and community involvement in our school as well as the service we provide for those in need in our community. We believe in teaching our students the importance of “giving back” and we appreciate the time and commitment of our parent volunteers, as we have no mandatory volunteer hours at LLT. Since applying ten years ago, we are annually in the top 5% of US companies who consistently meet their financial commitments on time. It is important as an independent charter school that we manage our finances and resources well. We believe in good stewardship of our dollars to fully supply our teachers and students with all the tools necessary to succeed in today’s world. Today we are at an enrollment of over 600 K-8 happy successful students with a current staff of 60 people. Our students consistently hold top positions in their high schools and their guidance counselors can often be heard saying, “Send us more LLT students.” One only has to visit our campus to understand how our culture and staff have positively impacted so many students in our community. While the building and facility additions have added so much to our school, we could not be where we are today without our wonderful veteran teaching, support, administration staff and board members. We all believe so strongly in our mission and we come to our school each day to make our students lives better presently and for the future. To touch a child’s life positively and help them believe in themselves and what they can accomplish in life is an honor and benefits us all. We welcome you to visit us at LLT Academy to experience what we are all about.